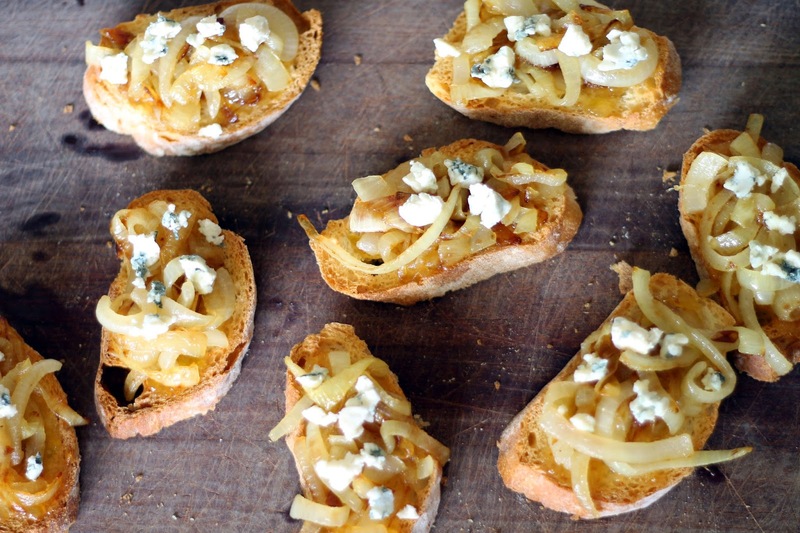 Until recently, I rarely made crostini outside of summer. A perfectly ripe tomato on top of crusty bread with a little gooey cheese: nothing better. But, why reserve something so delicious and simple for only a few months out of the year? 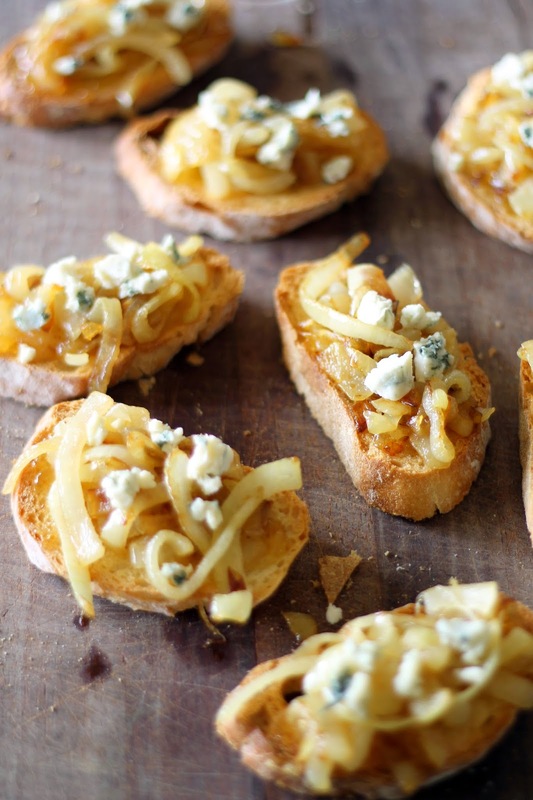 These caramelized onion crostini's are a great winter treat. 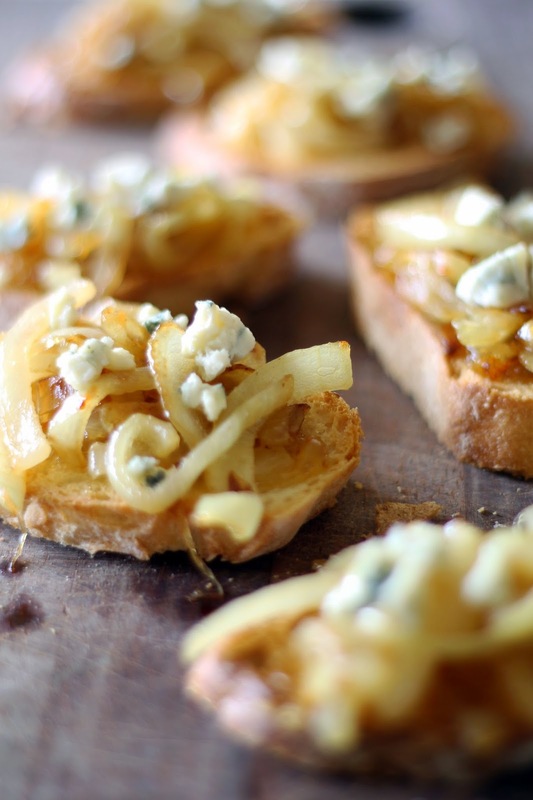 They are easy to make, and the caramelized onions make your kitchen smell divine. Heat butter in a medium sized skillet over medium heat. Once butter has melted and begun to bubble, add onions. Reduce heat to low and cook for 45 minutes until onions are soft and browned. Stir occasionally so nothing sticks. Add more butter if needed. Remove from heat. Toast french bread slices until browned. 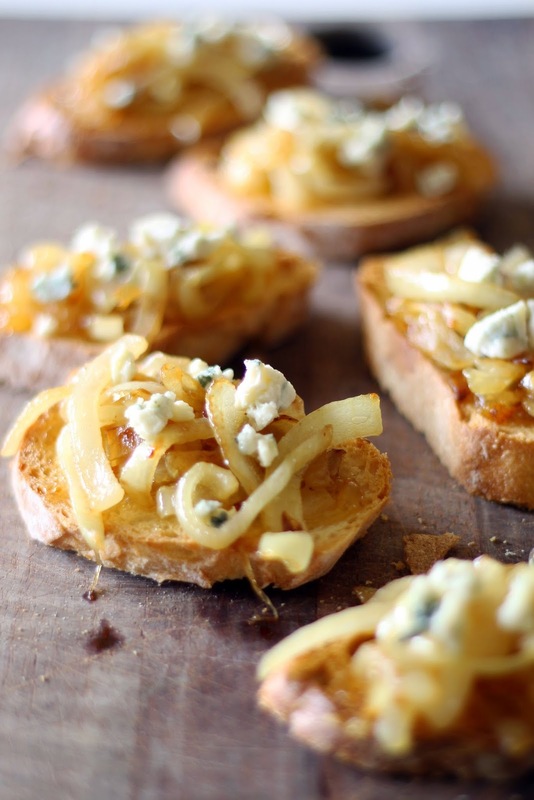 Top with 1/2 tablespoon of fig preserves, onions, and a sprinkling of blue cheese.